For those of you wondering what might be a good resource to turn to for working on self-improvement, I would recommend taking a close look at Stronger: Develop the Resilience you Need to Succeed, by George S. Everly Jr., Ph.D., Donald A. Strouse, Ph.D., and Dennis K. McCormack, Ph.D. The topic of this book focuses on resilience; its nature, importance and exercises applying it. In formal scientific terms, resilience is often defined as the ability to stay optimistic in times of adversity and distress. Although the definition accurately describes this value, Stronger goes into a much more detailed, pragmatic, and in-depth look helping the everyday person understand resilience’s meaning and implications. The authors: a professor of Psychiatry at Johns Hopkins University, a manager of an international consulting firm, and a formal original Navy SEAL, team up to present how to live out resilience from their own individual experiences. Their collaborative preface opens with an alluring quote that entices the reader to delve into this book and learn about how to become more resilient. The chapters teach the reader how to become stronger, determined, and tough-minded. They push you to develop beyond your current perceived thresholds. They propel you to not just learn from adversity, but grow even bigger than you were prior to the daily defeats of life. In summary, this book teaches one on how to handle the rigors of life and take full advantage of them. 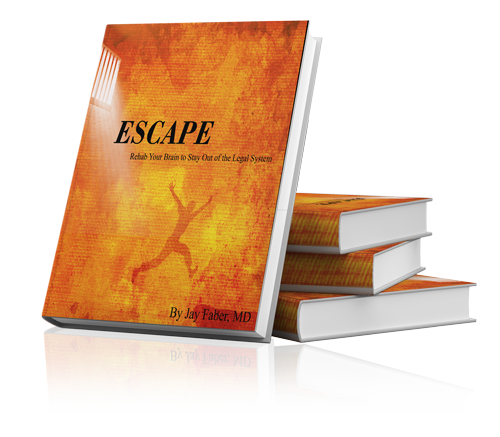 No crying, no moaning, no whining…just an attitude that nothing can defeat me and “what does not kill me only makes me stronger.” This book is an absolute must for those who want to learn how to successfully face the challenges – there will be some – after they get out of jail back out to the real world. While you are being pushed, pulled, taunted, teased, and rejected, this book will teach you skill sets to not give in and never give up. Through resilience, you will learn to take the negative energy of these unpleasant feelings and make something out of yourself. Go buy the book, read it, and by all means, journal your discoveries. You will not be disappointed.